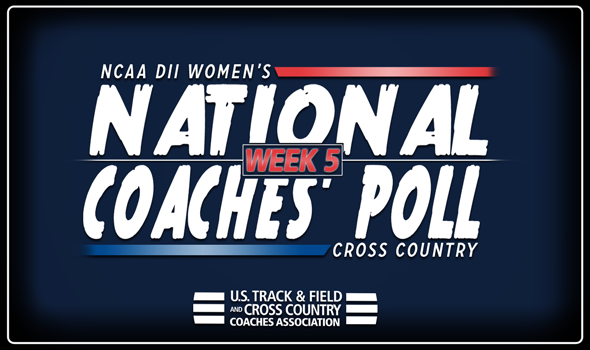 NEW ORLEANS – Fans of cross country already knew that Division II is having its Pre-National Invitational this weekend as one of the last prestigious meets of the regular season which meant that there wasn’t much change to the top-25 programs in the latest NCAA DII Women’s National Coaches’ Poll released Wednesday by the U.S. Track & Field and Cross Country Coaches’ Association. In total just six of the 25 teams had any change from the week before. Teams are starting to gear up for the championships season and a lot of the nation’s best will be at the Rock Pre-Nationals hosted by Slippery Rock University this Saturday at the Bob O’Connor Golf Course in Pittsburgh, Pennsylvania. The men’s 8K race will get started at 10:30 a.m. EST and will be followed by the women’s 6K race at 11:30 a.m. The site serves as the host of the NCAA Division II National Championships which take place on Saturday, December 1. Adams State placed second at the Fort Hays State Tiger Open this past weekend in its final regular season meet before the Rocky Mountain Athletic Conference Championships on November 3. They did not race their top squad at Fort Hays. Western State kept the No. 2 spot after being off from competition. The Mountaineers haven’t raced since winning the team championships at the Lewis Conference Crossover Invite in early October. Western State will return to action when it hosts its 68th W Mountain Race this Saturday. Remaining at No. 3 was Grand Valley State after a fourth-place finish at the Bradley Pink Classic over the weekend. It will serve as the last regular season meet for the Lakers who will compete again at the GLIAC Cross Country Championships on November 3. Holding down the No. 4 spot was U-Mary who too was off from competition. The Marauders return to the course this weekend with the running of the NSIC Preview on Saturday. Jumping up one spot was Augustana (S.D.) in one of the few moves the poll featured this week. The Vikings took second-place at the Jim Drews/Tori Neubauer Invitational this past weekend and will have one last regular season meet with the Mount Marty Invite this Saturday. Down one was No. 6 Colorado Mines after a fifth-place finish at the Fort Hays State Tiger Open. The Orediggers did not race their top lineup at the meet and will look to debut their top squad at Pre-Nationals this Saturday. Augustana (S.D.) and Colorado Mines switching spots was the only change to the top-10 in the poll. Chico State remained at No. 7 after a fifth-place showing in the invitational race of the Bronco Invitational this past weekend. The Wildcats will have one more regular season meet with the Doc Adams Open on November 3. Alaska Anchorage came in at No. 8 and has been off from competition for almost a month. The Seawolves finally return to action this weekend with the Western Washington Invitational on Saturday. UC-Colorado Springs continue to hold the No. 9 position and too has seen a lengthy absence from the course. The Mountain Lions started the year strong with three races (and good performances) in September and haven’t raced since the MSU Denver Roadrunner Invite on October 6. They did not run a full unit at the meet and get back to it with the RMAC Championships on November 3. No. 10 Simon Fraser completed the top-10 after not racing since a second-place performance at the Lewis Conference Crossover Invitational in early October. The Clan is back this weekend with the running of the Western Washington University Classic on Saturday. The largest gain in the poll was a two-spot improvement made by No. 19 Oklahoma Baptist. The only other positive movement to speak of was a one spot rise by No. 23 Mount Olive. Three teams tied for the largest drop, if you can even call it that, with a one spot fall. No new teams entered the top-25 this week. Stonehill, Southwest Baptist, Alabama-Huntsville and Flagler also received votes.